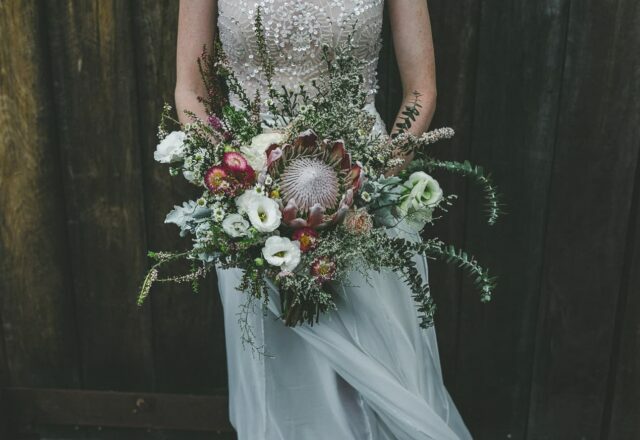 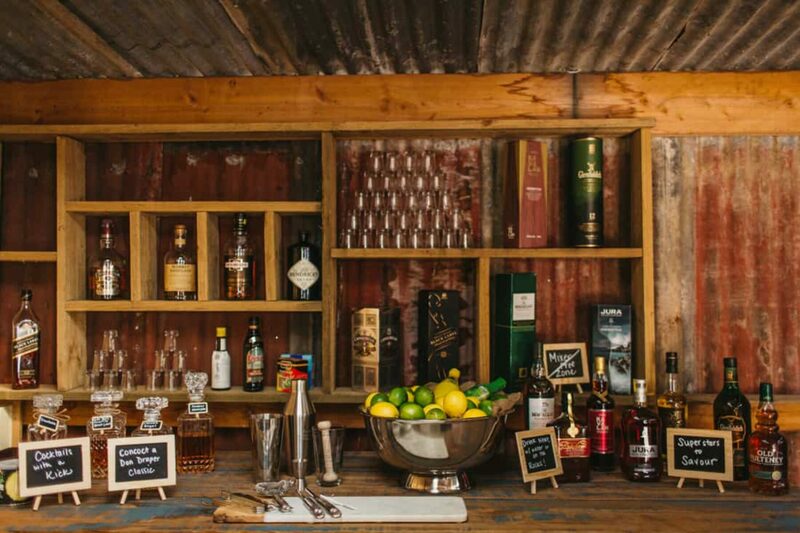 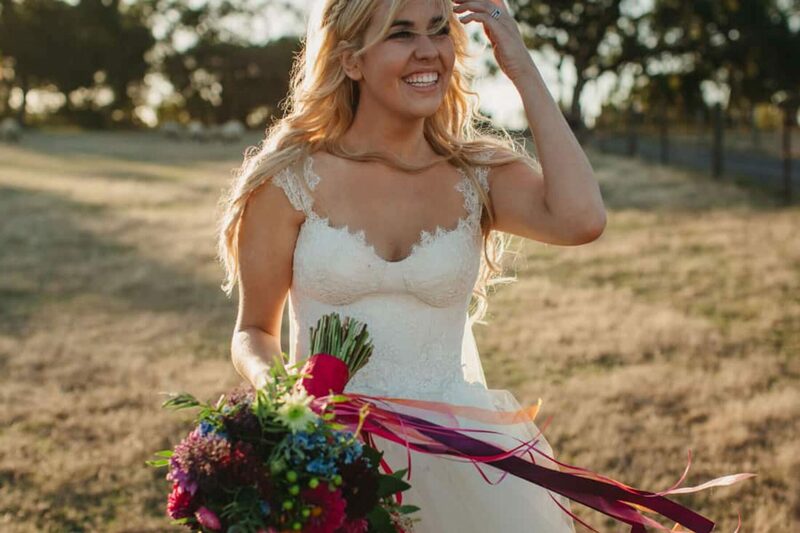 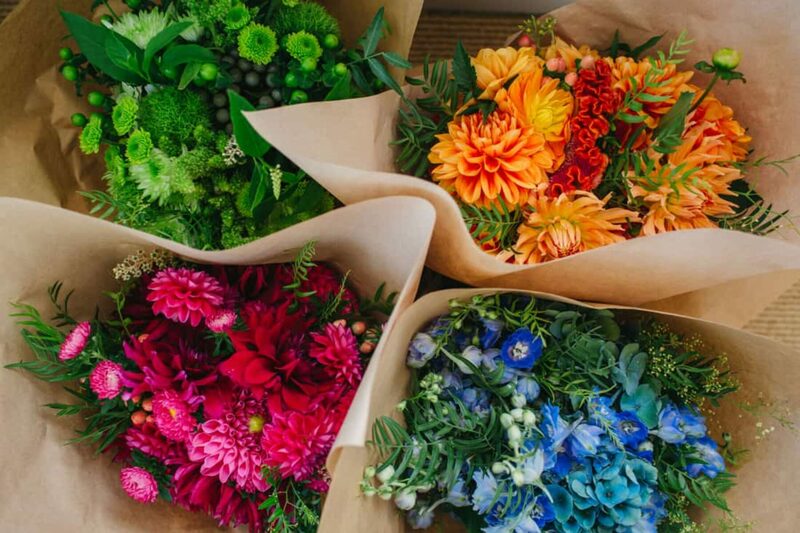 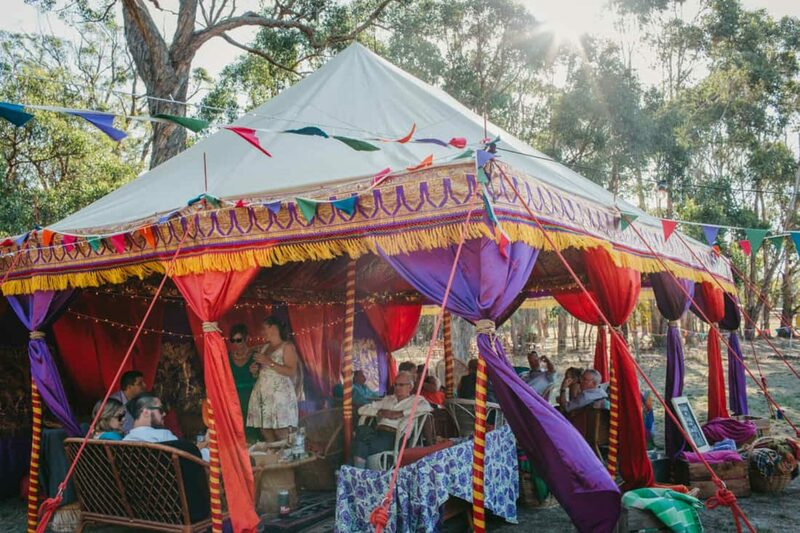 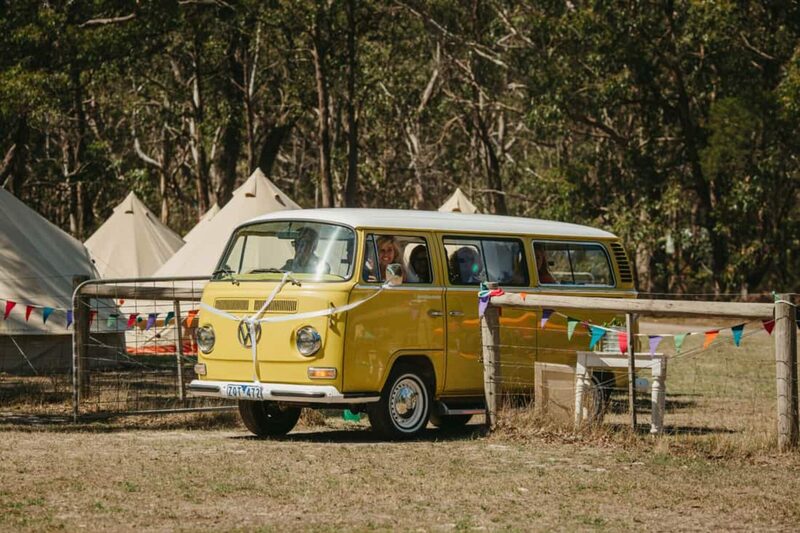 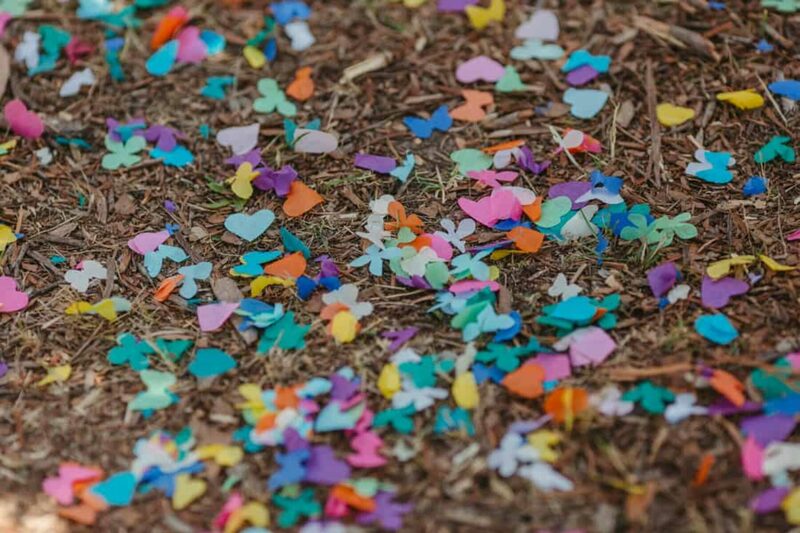 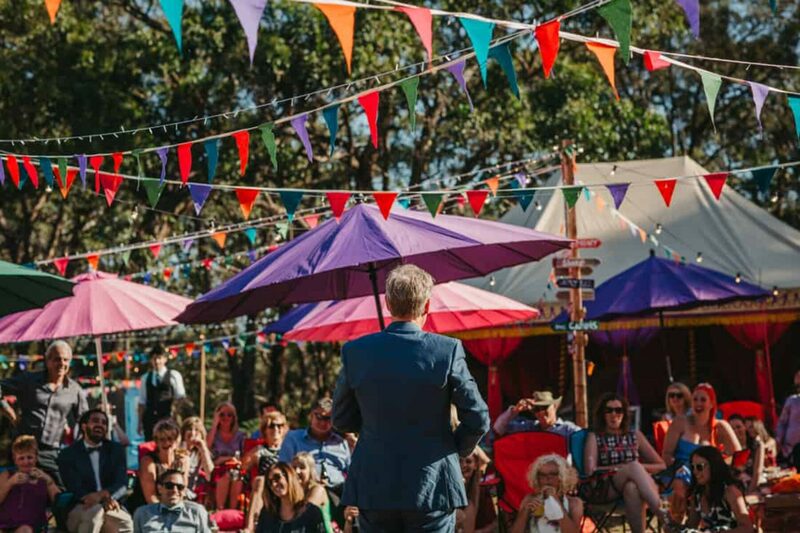 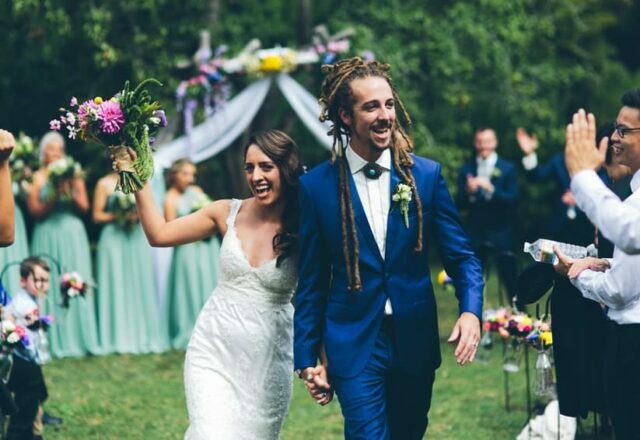 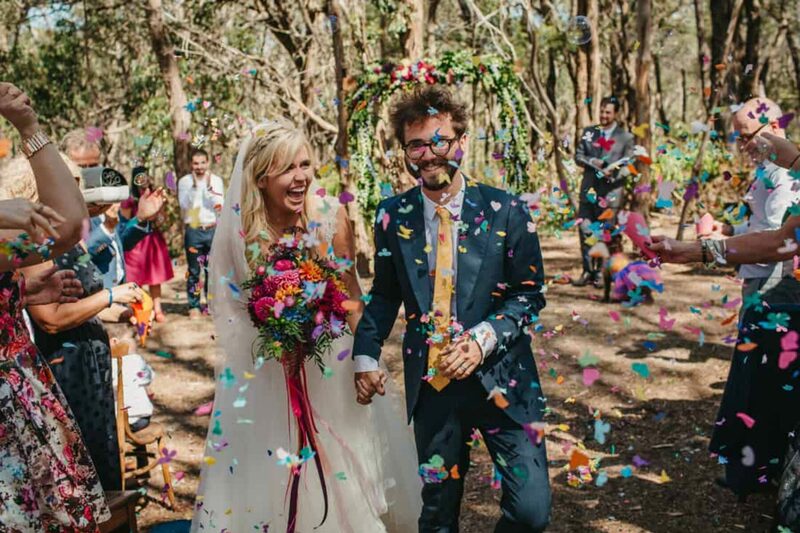 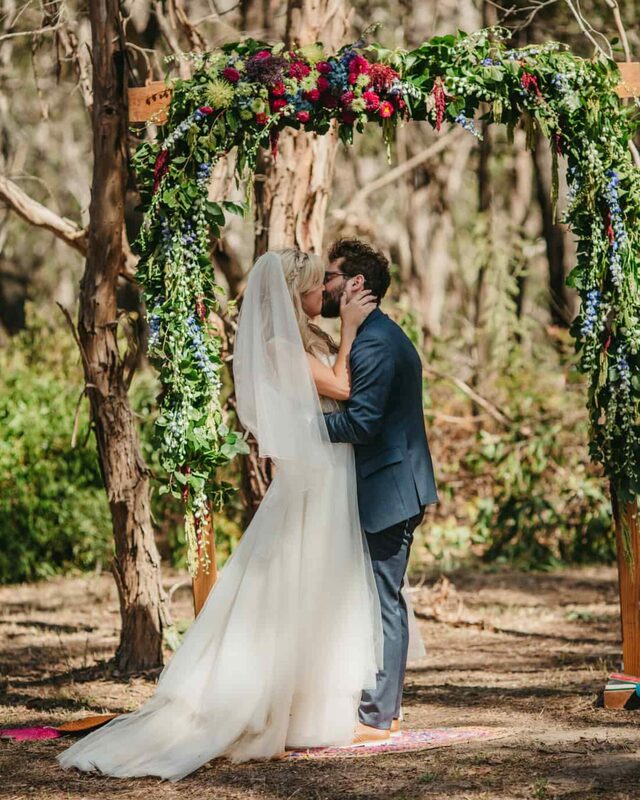 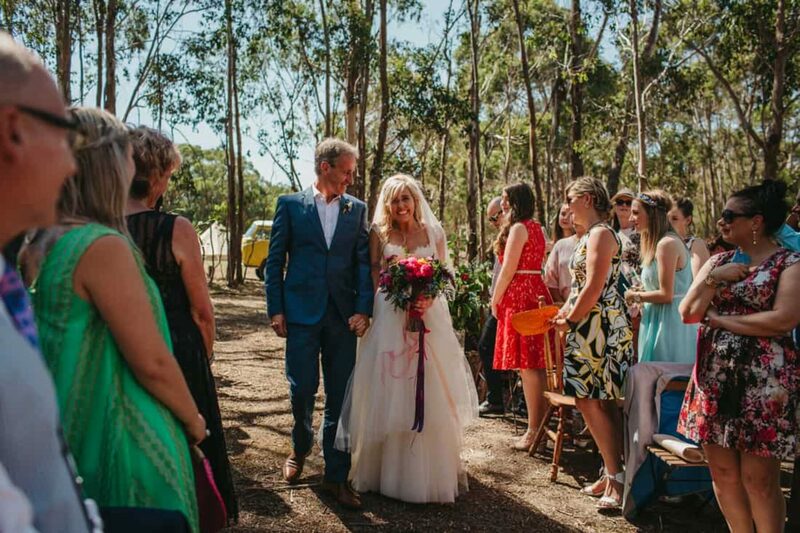 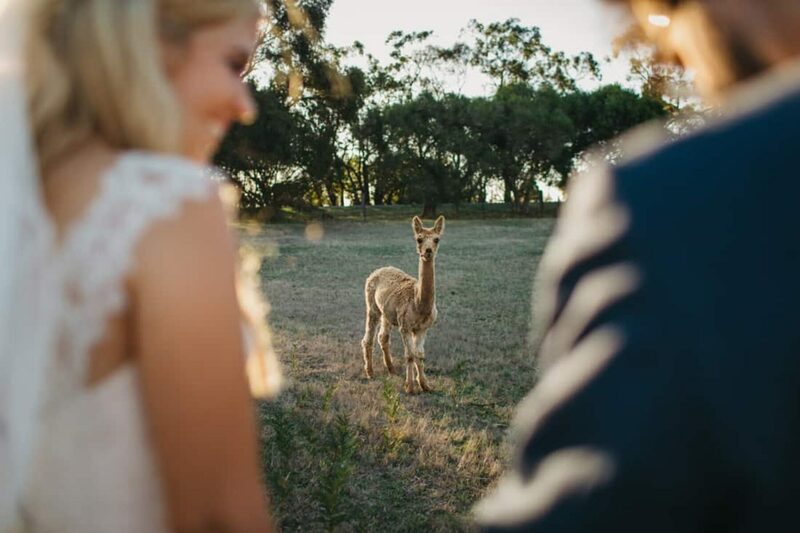 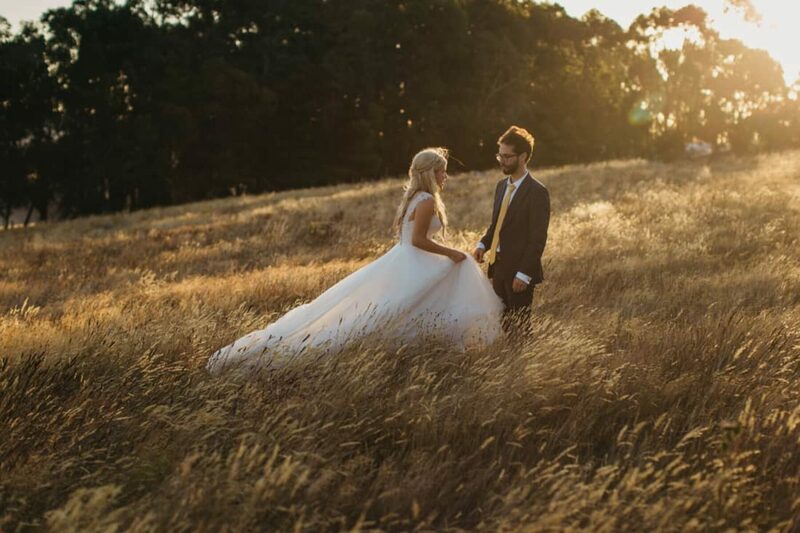 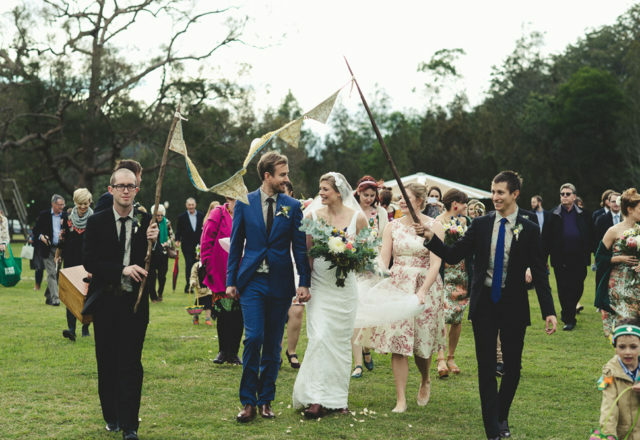 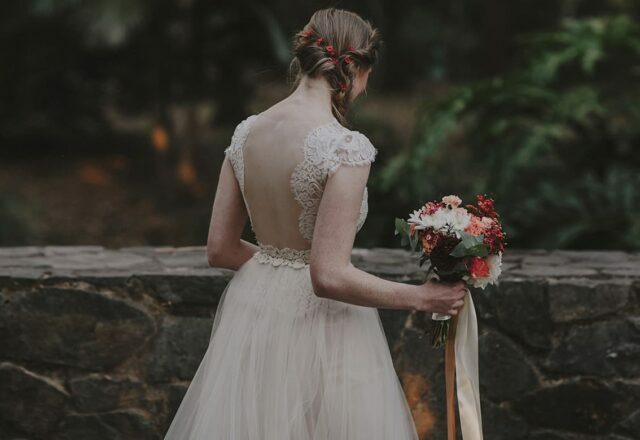 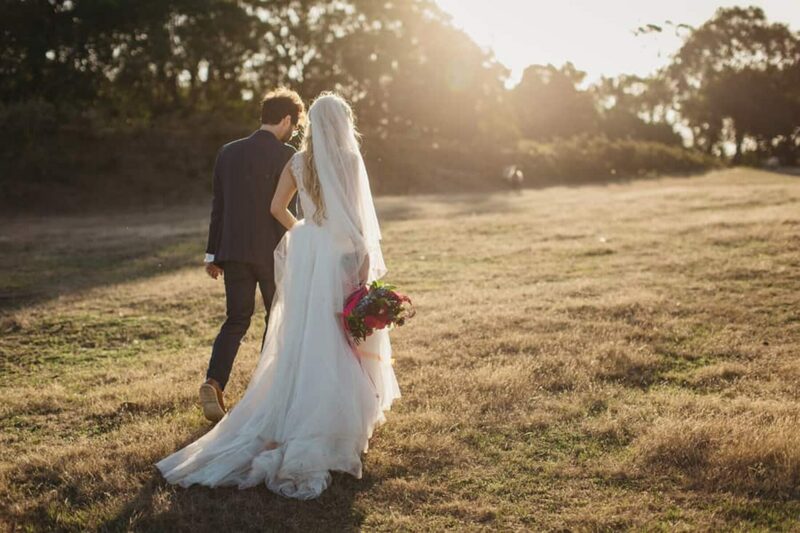 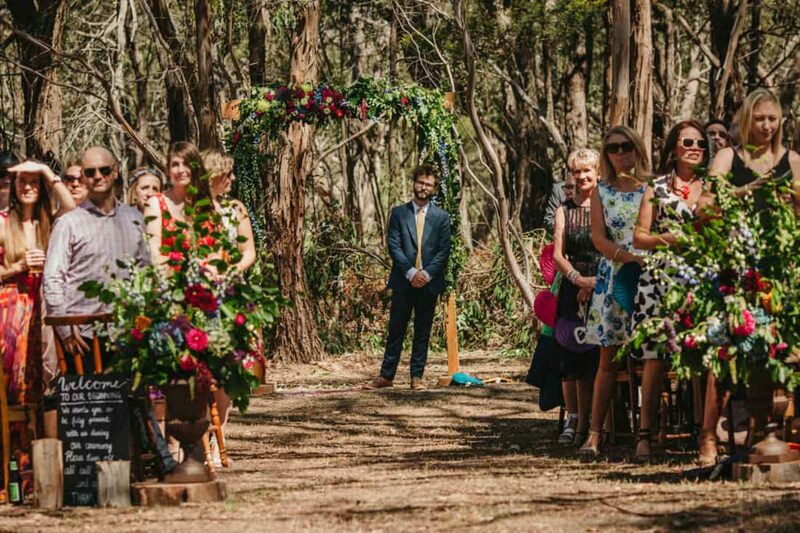 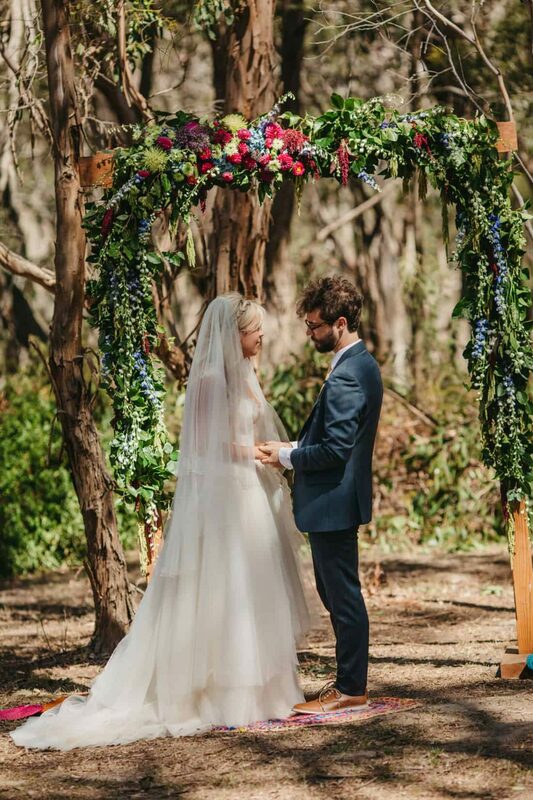 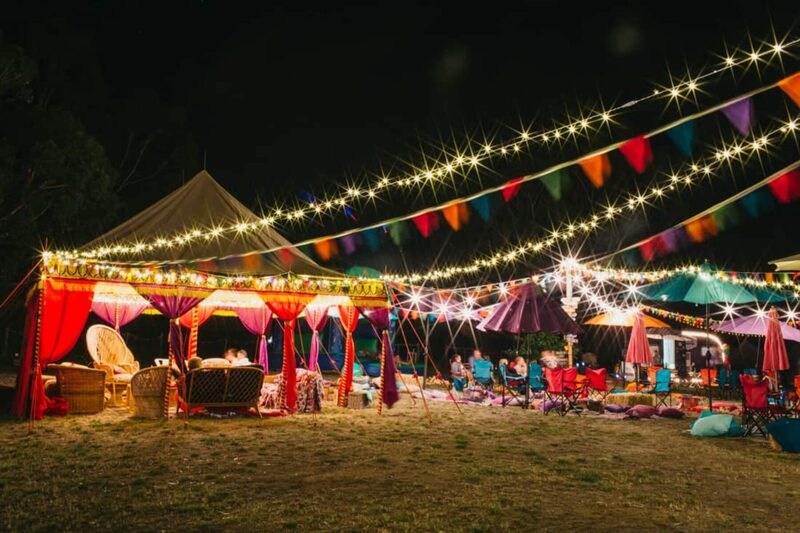 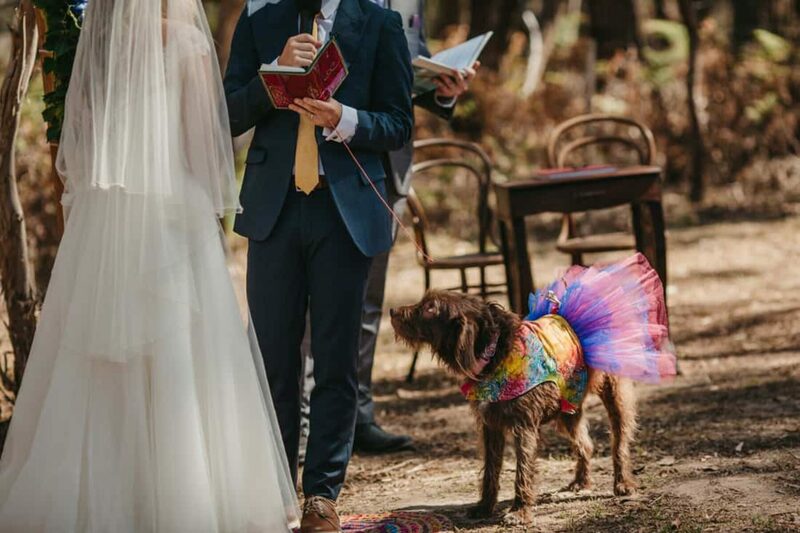 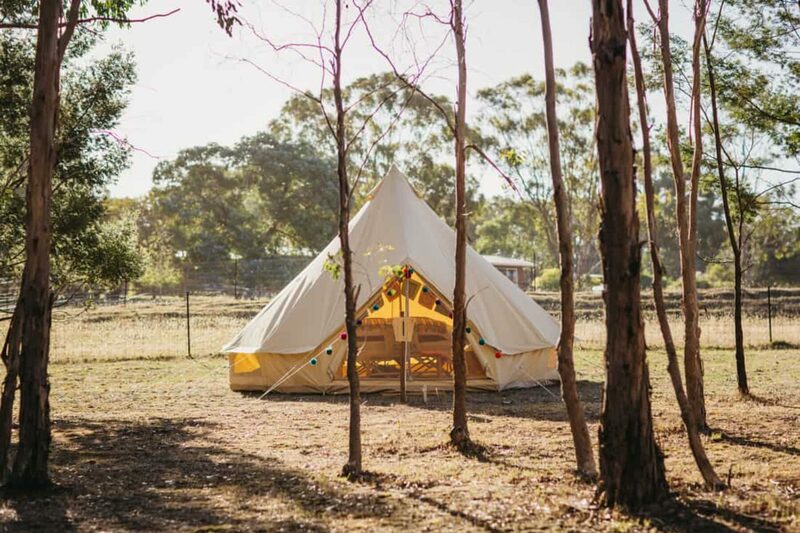 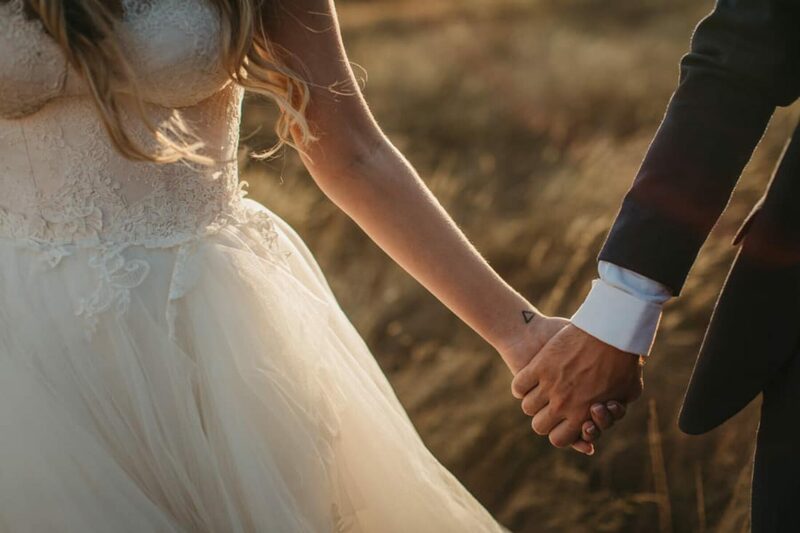 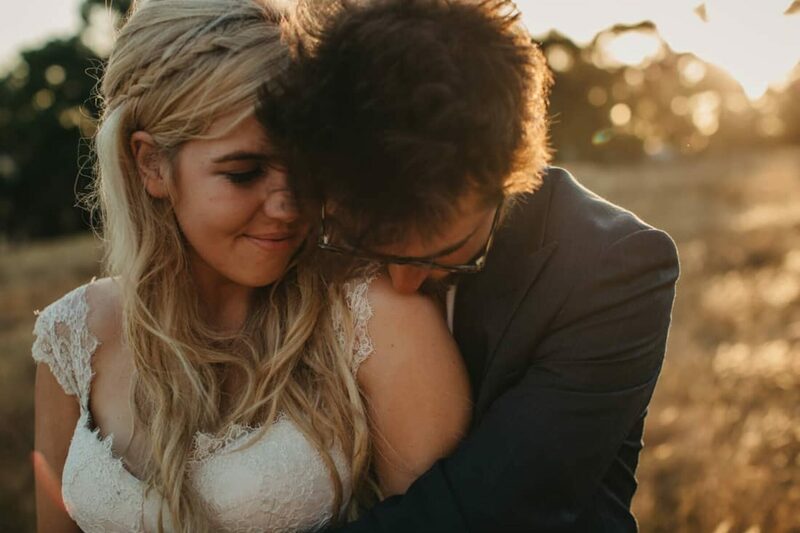 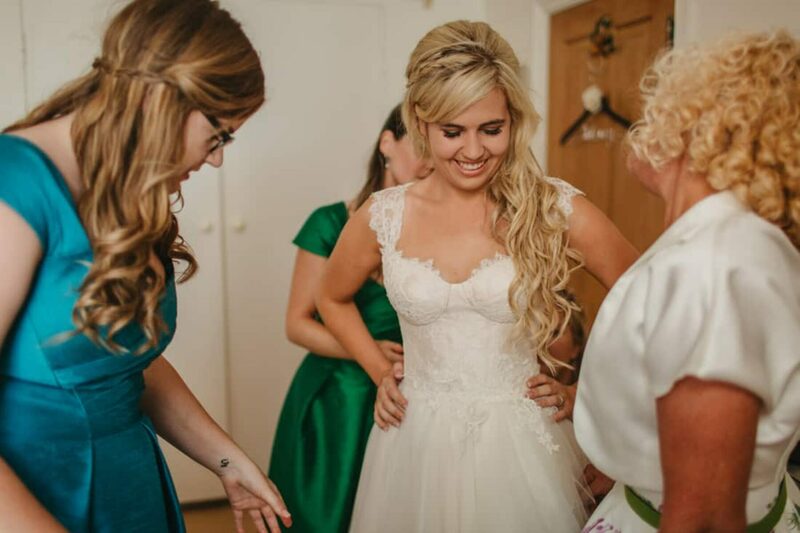 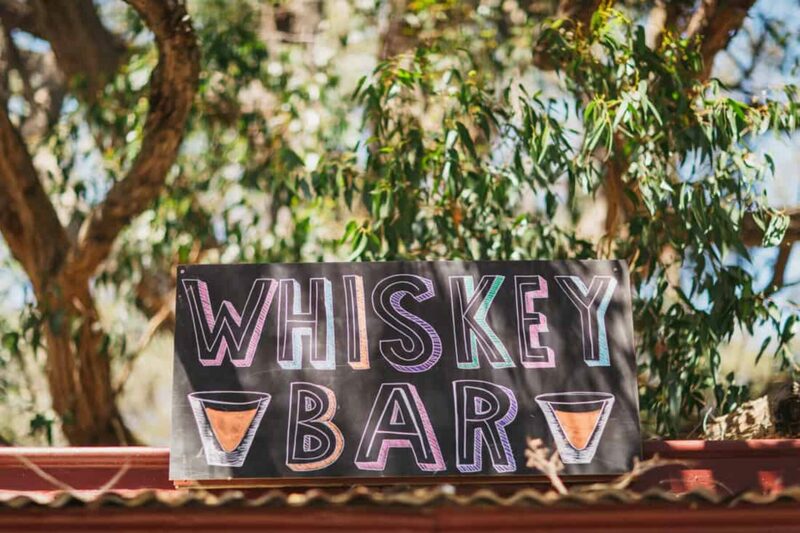 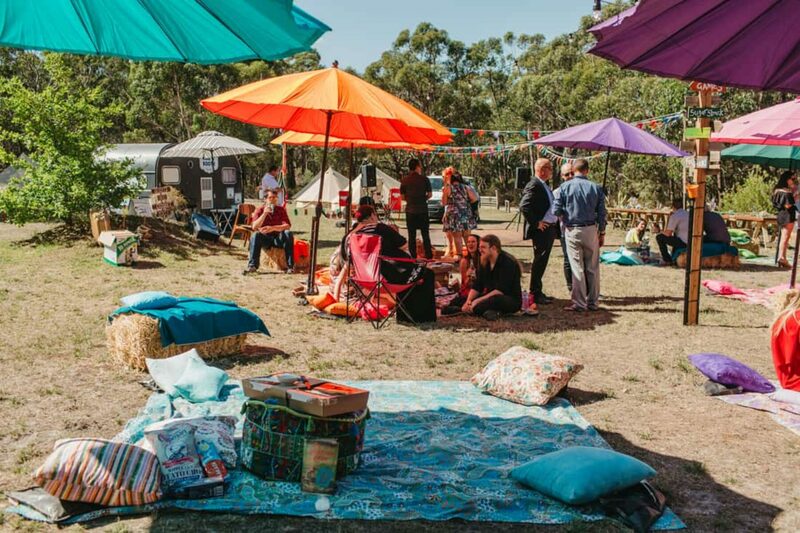 With its vibrant Bedouin style tent and vegan food galore, we are head over heels for the colourful details of Caitlin and Johnny’s festival wedding at Countrywide Cottages in the Otway Ranges, captured by Stories by Ash. 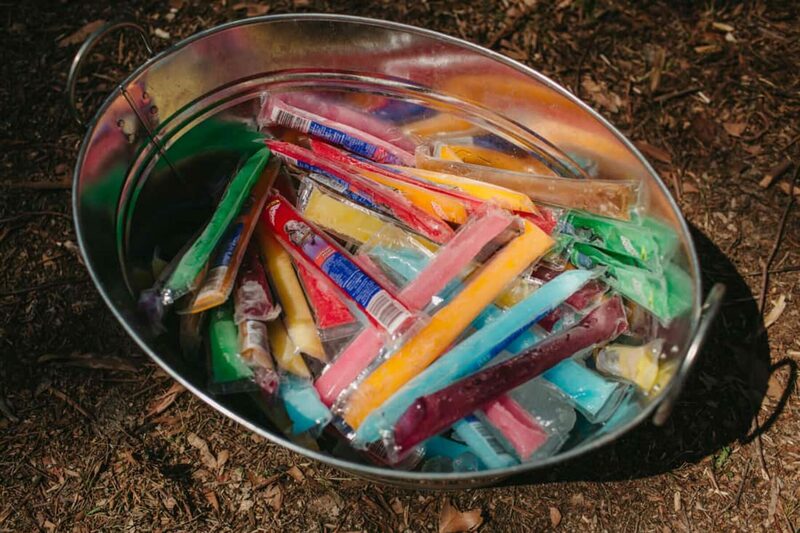 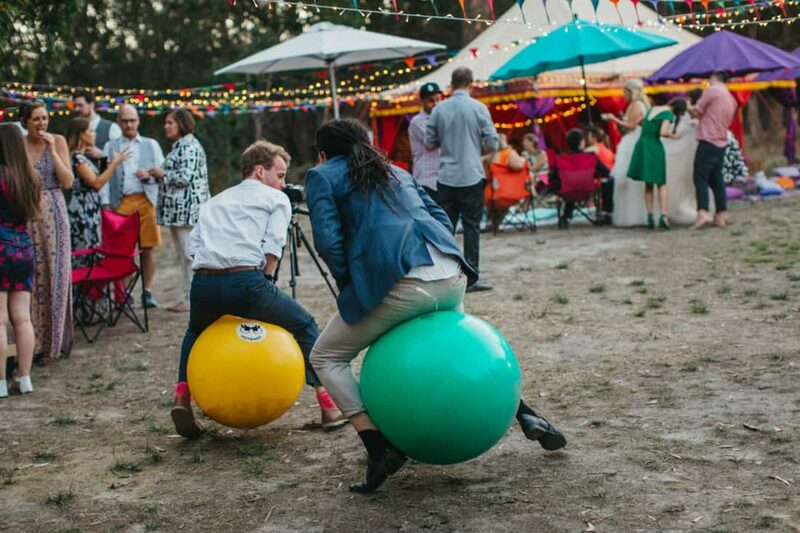 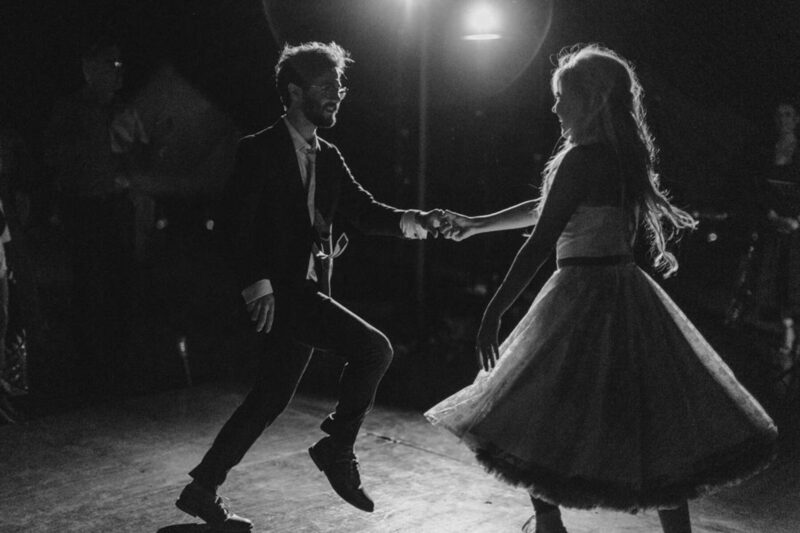 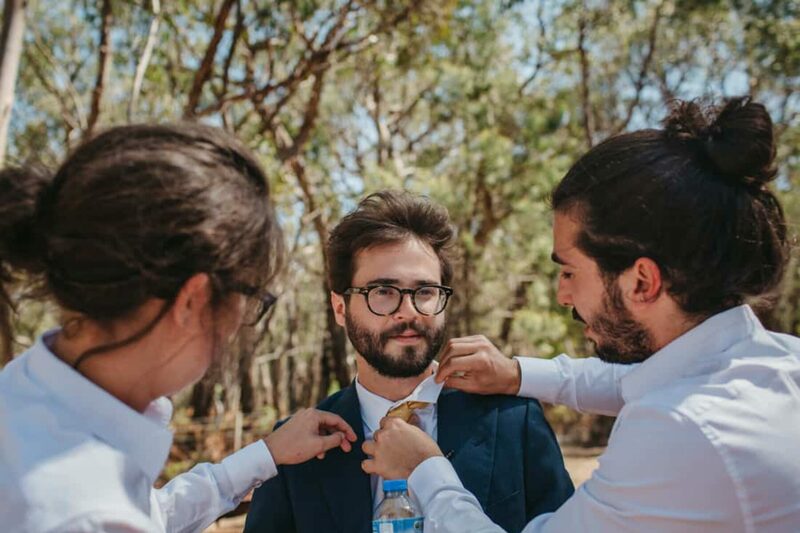 The couple, who met in Year 8, describe the theme they were aiming for as “laidback camping festival”, and with plenty of party games, a bouncy castle and ice blocks served pre-ceremony, they definitely nailed it. 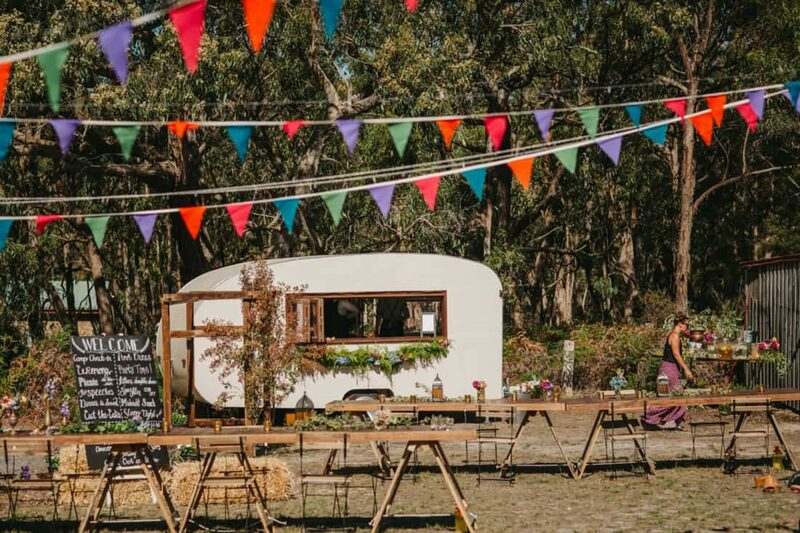 Family and friends came together to help with various DIY projects including sewing hundreds of metres of bunting, creating a photo wall, painting and decorating a camper van and crafting favours and table numbers. 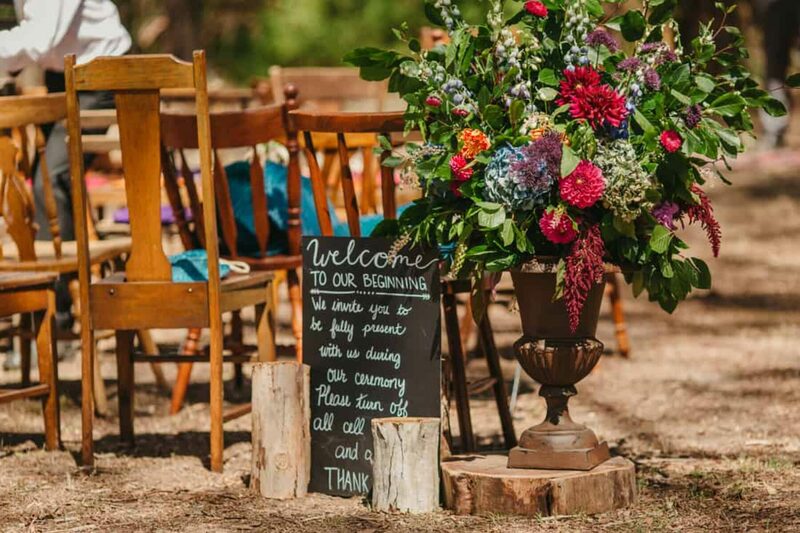 These touches complemented props hired from Peppa and Peach to create a setting that was both unique and festive. 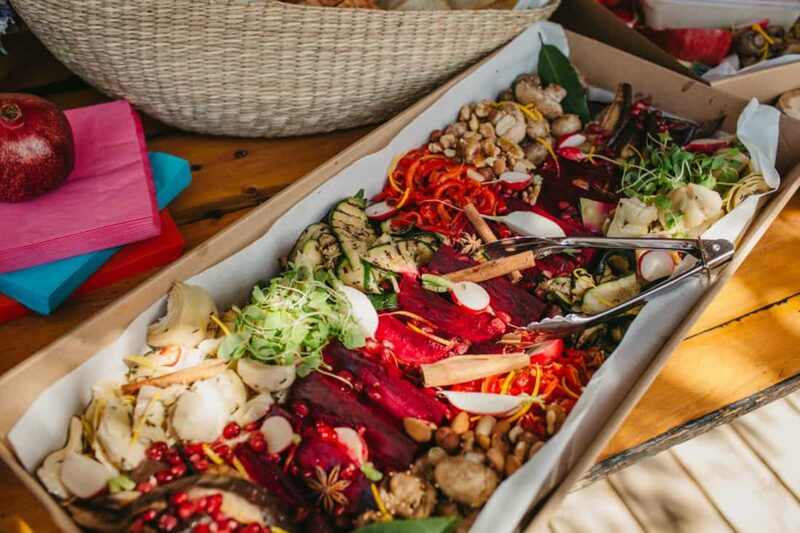 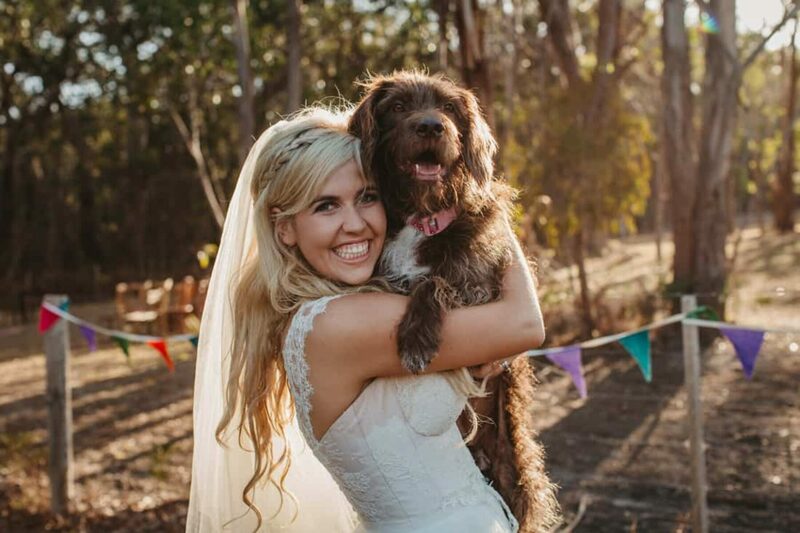 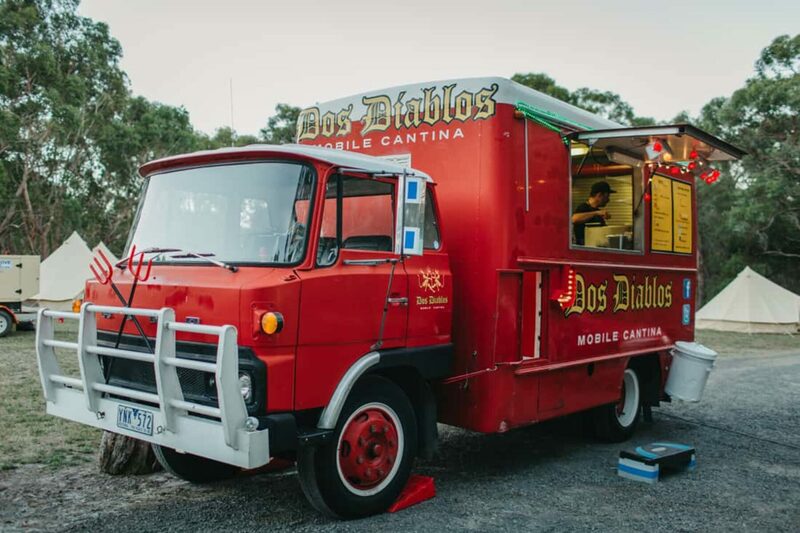 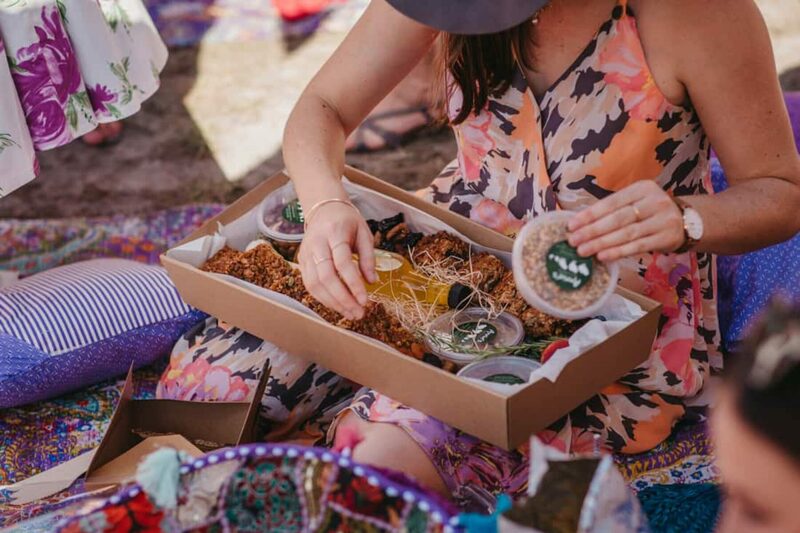 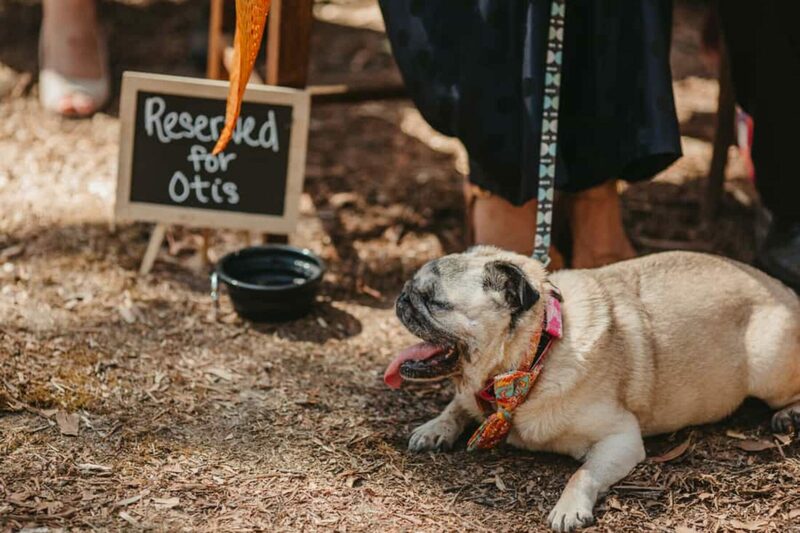 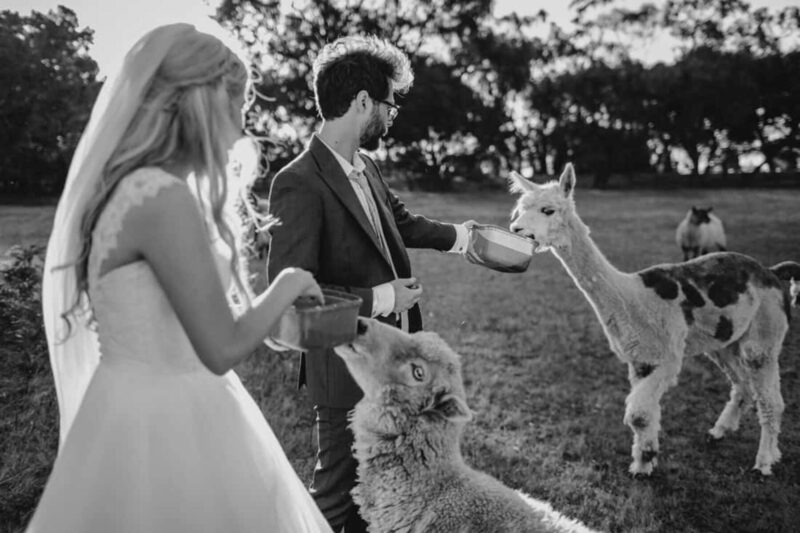 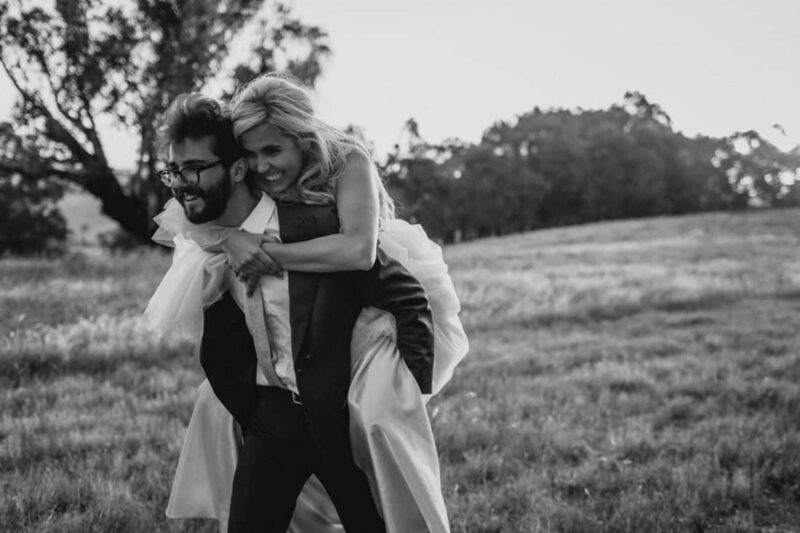 As animal lovers, Caitlin and Johnny decided to go vegan for their big day, with a range of vendors including picnic baskets from Annie’s Provedore and food trucks Dos Diablos and Sweet Forbidden Treats dishing out some seriously delicious vegan food. 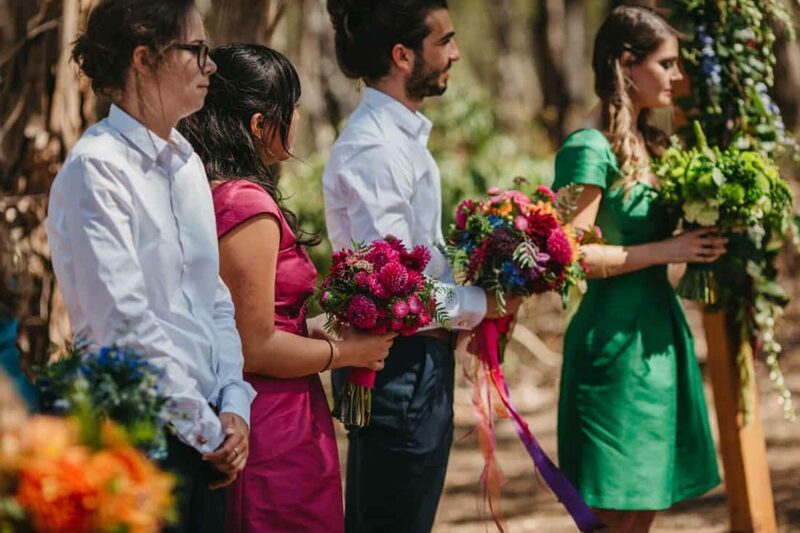 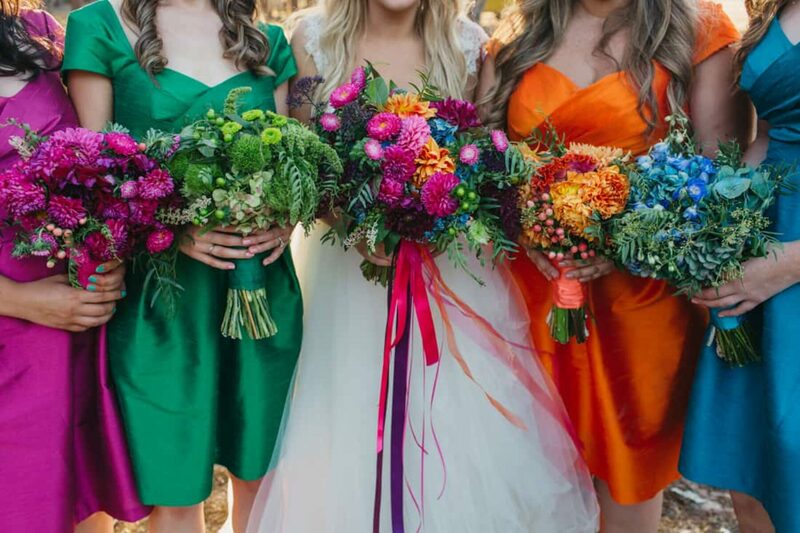 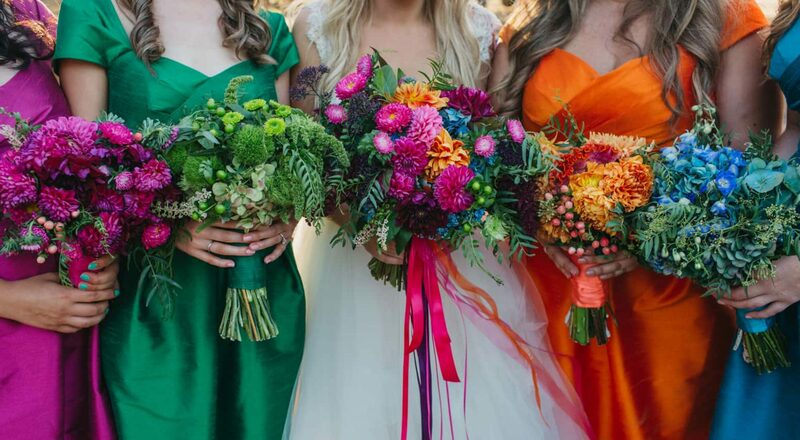 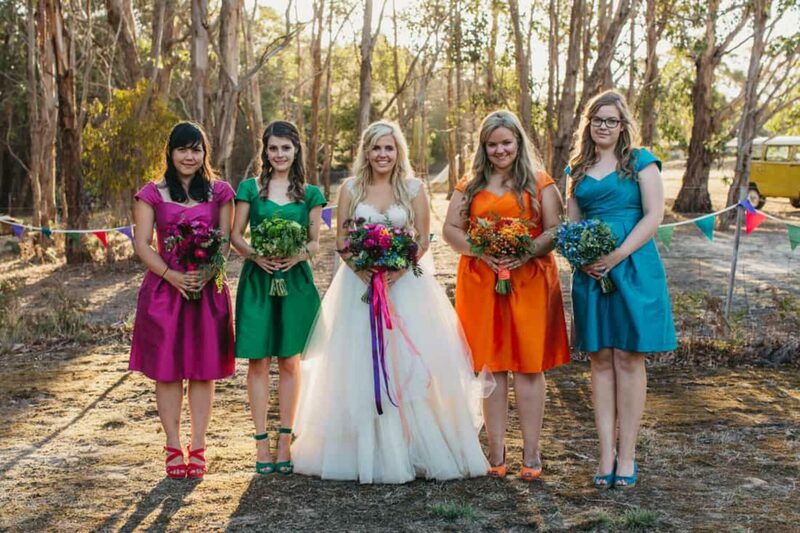 The bridesmaids’ vibrant dresses from Weddington Way added yet another pop of colour, with bright blooms by Botanica to match each dress. 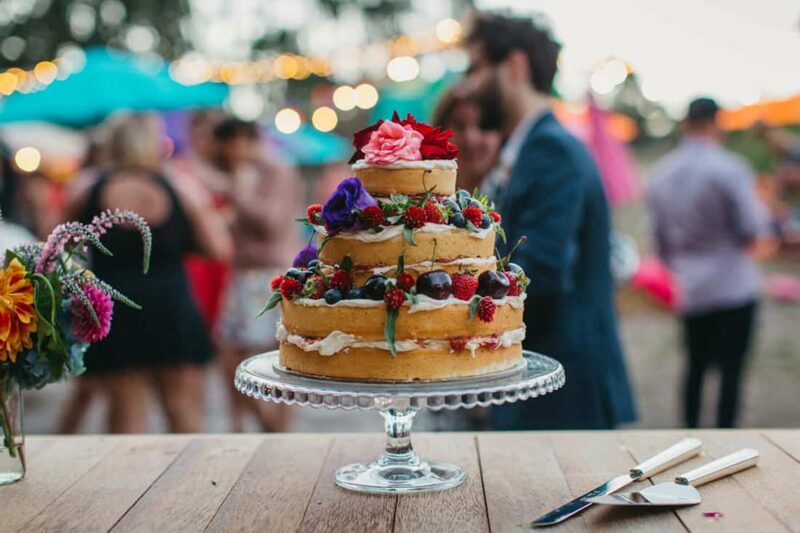 The three tiered vegan wedding cake decorated with fresh fruit and flowers was created by Von’s Vegan Bakehouse.